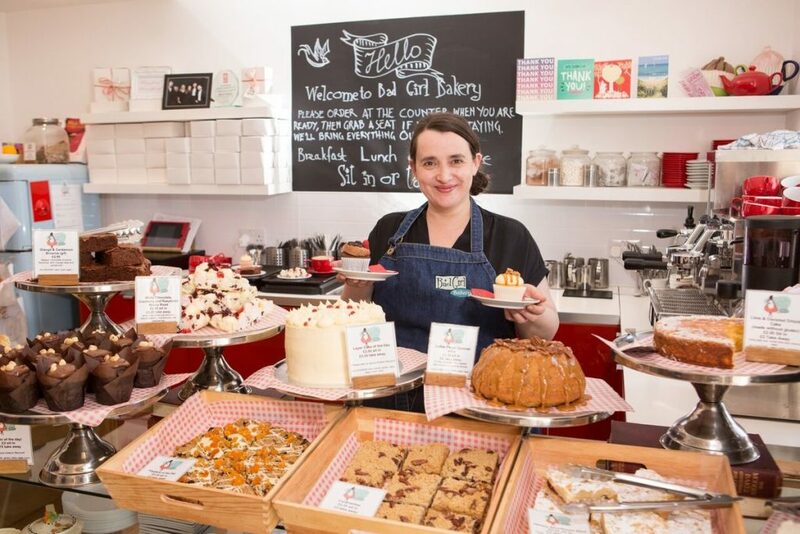 Acclaimed Muir of Ord bakery and café, Bad Girl Bakery, has expanded into Inverness city centre. Located handily near Eastgate Shopping Centre, the newly launched ‘Cake & Coffee Caravan’ will serve coffees and hot chocolates alongside a range of the bakery’s cakes and gourmet doughnuts in Falcon Square. The baking selection will change daily to make the most of seasonal ingredients and unusual flavour combinations alongside favourite flavours like crème brûlée doughnuts; cherry cheesecake brownies; vanilla caramel fudge cupcakes filled with caramel and topped with Orkney Fudge; and apple cinnamon doughnuts will be on the menu. The sleek, retro-style aluminium caravan will be based in Falcon Square from 10am to 5pm on Thursdays, Fridays and Saturdays into the spring. Bad Girl Bakery opened its bakery and café in Muir of Ord in 2017 and has since built a reputation for its outstanding cakes and customer service. In October, the bakery won the Business Growth category in the Highlands & Islands Food & Drink Awards.